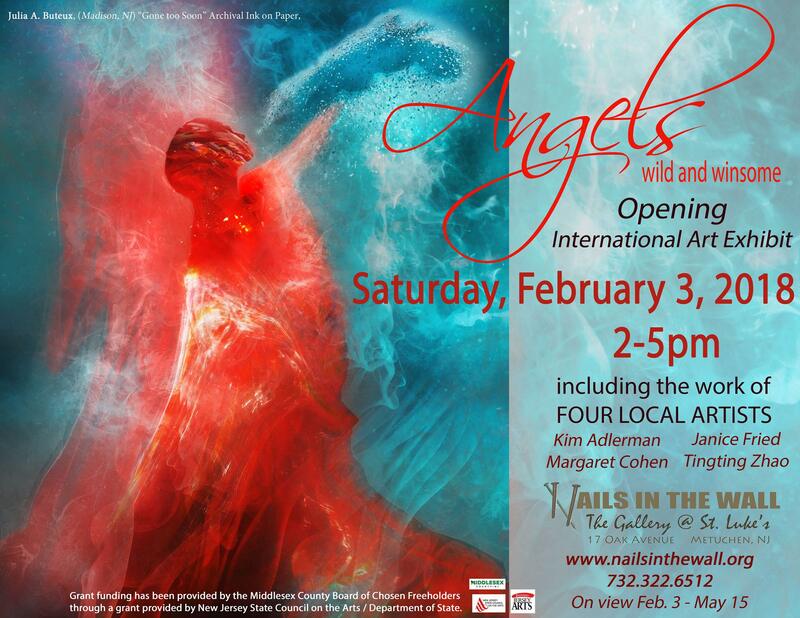 The Opening of the international Art Exhibit “Angels, Wild and Winsome”. 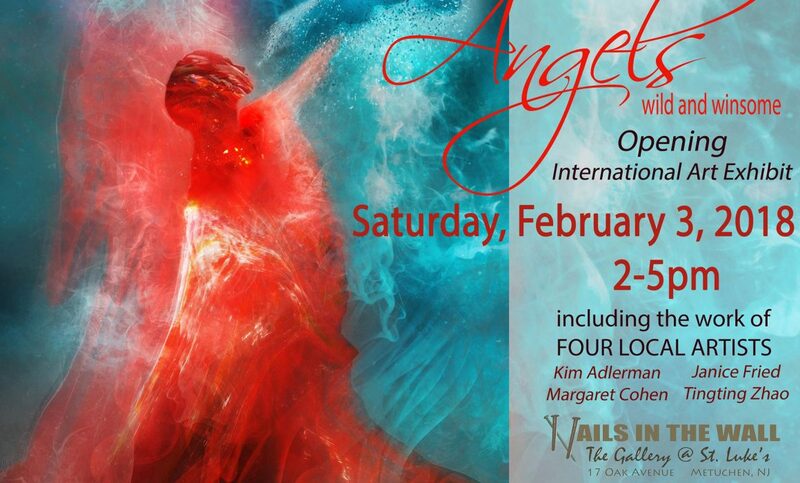 Refreshments, Live Music, and an opportunity to interact with many of the 24 exhibiting artists will be part of this afternoon of art. The gallery is celebrating the beginning of its sixth year having been awarded an Arts Grant by Middlesex County Cultural and Heritage Commission.